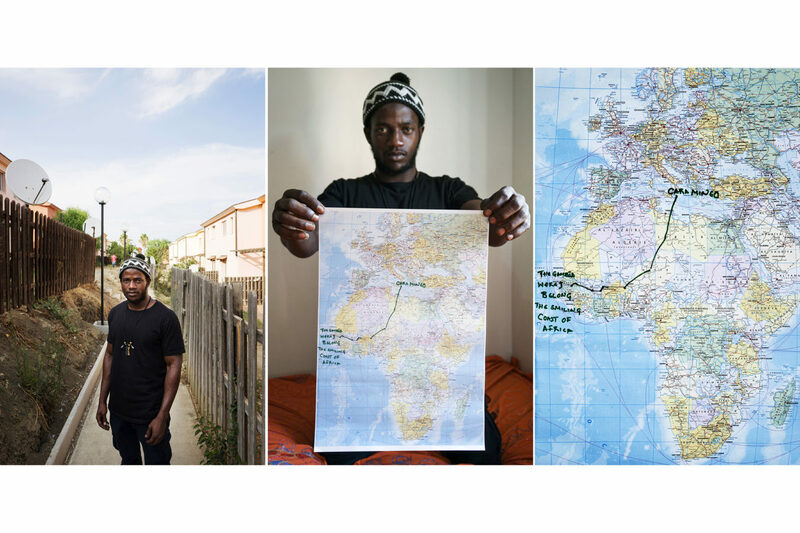 Working with the British Red Cross in Sicily, Alfredo D’Amato met individuals, couples and whole families of migrants from countries across West and East Africa who had undertaken incredibly dangerous and potentially deadly journeys across countless borders and the Mediterranean to reach Europe. 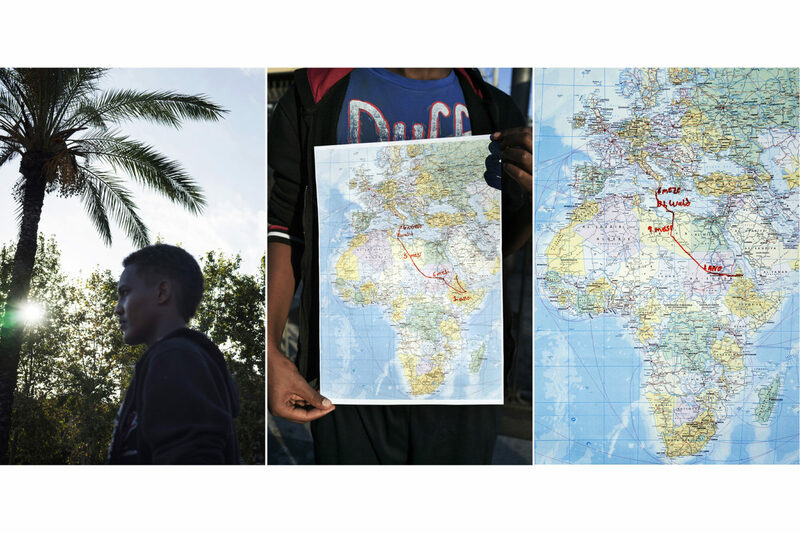 Despite the shocking death toll in the sometimes treacherous waters south of Italy – over 3,000 in 2016 alone – tens of thousands of people continue to board rickety boats organised by ruthless traffickers to attempt the crossing. 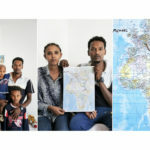 While these obvious dangers are relatively well documented, however, with the EU and various non-profit organisations actively intervening to save stricken vessels, the abuse and exploitation that occurs on the way to the North African coast can only be gleaned from the harrowing tales told by those who make it across the sea. 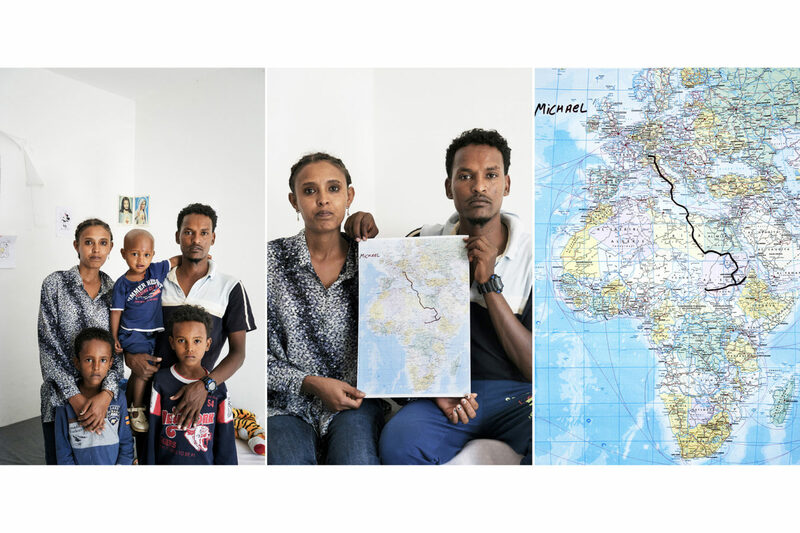 With dangers of every kind lurking along the route, many would be migrants often end up having to endure gruelling experiences worse than those that made them leave their homes and flee northward in the first place. 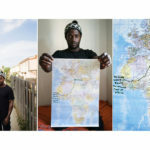 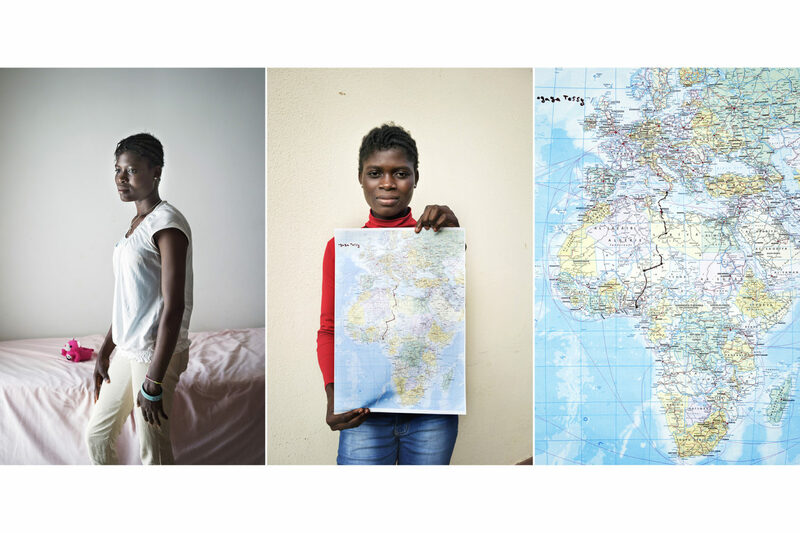 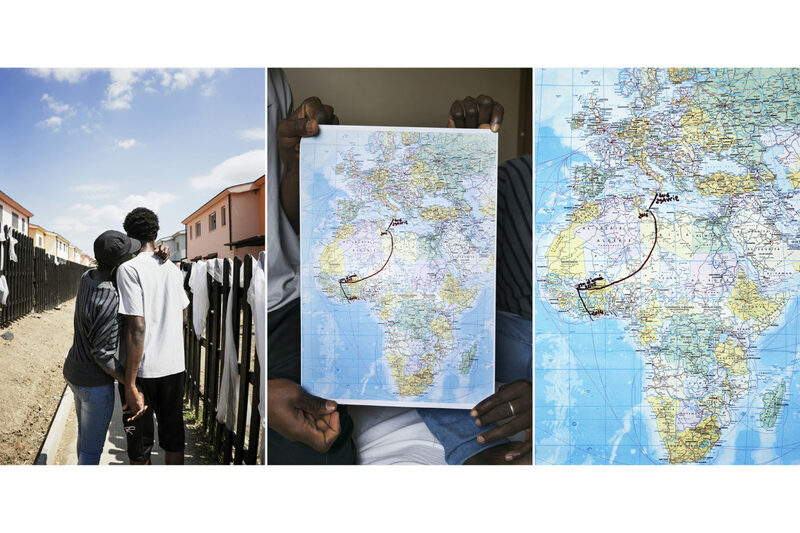 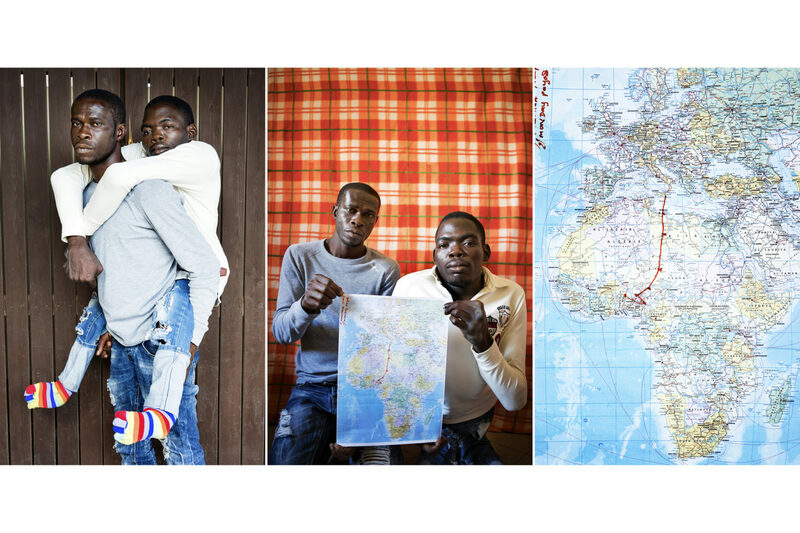 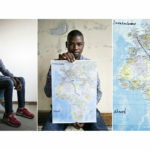 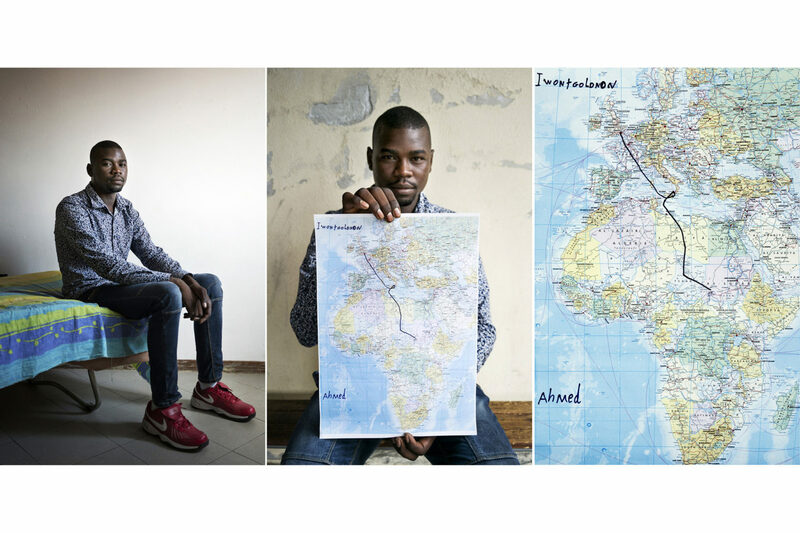 Each of the people photographed had their own tales of woe and were able to plot their journeys from their home countries to arriving in Italy on a world map, showing the extraordinary distances covered across some of the world’s most hostile and dangerous terrain.